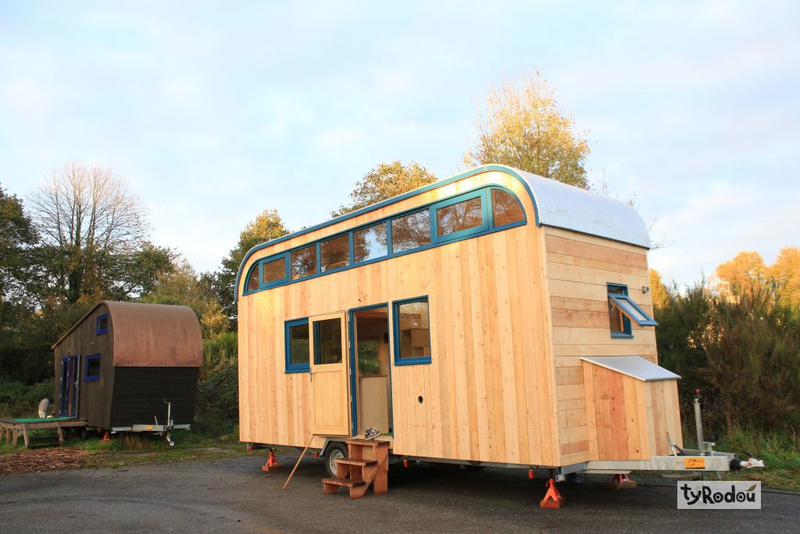 Say hello to the London: a French tiny house with a unique and eye-catching curved roof! 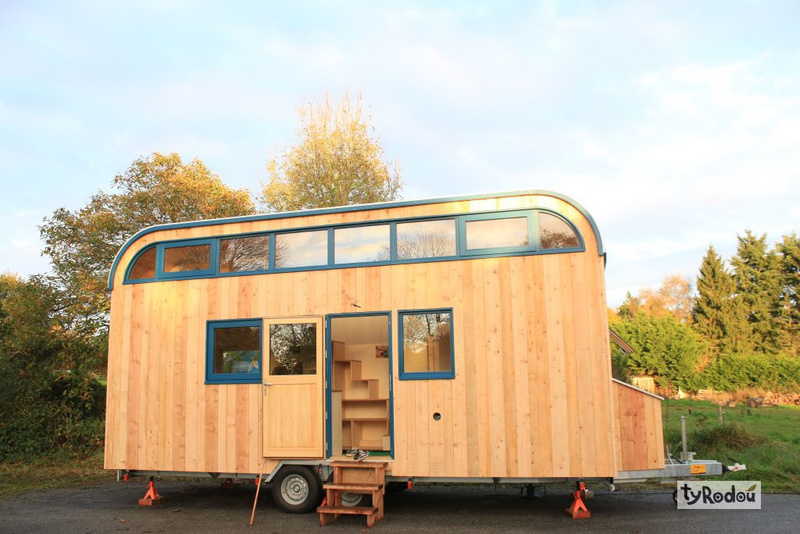 The home is designed and built by Ty Rodou, a builder from the French town of Landeleau. 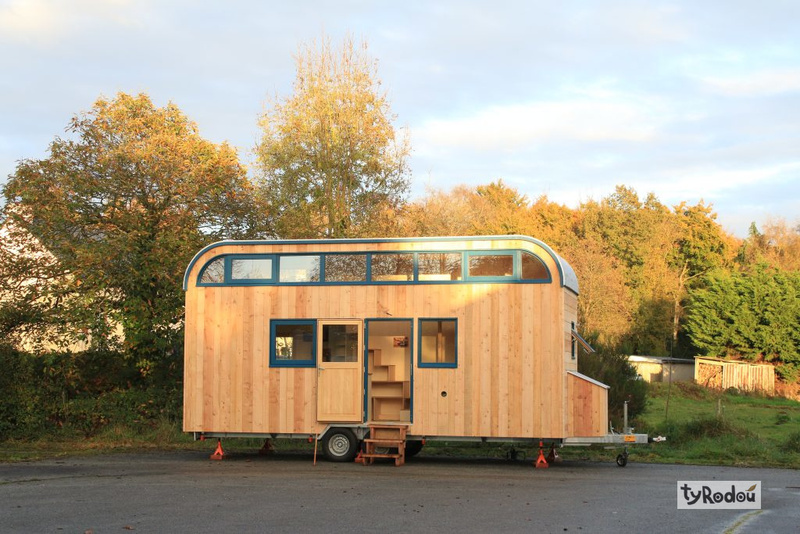 His one-of-a-kind tiny house features an all-wood exterior with beautiful blue accents. 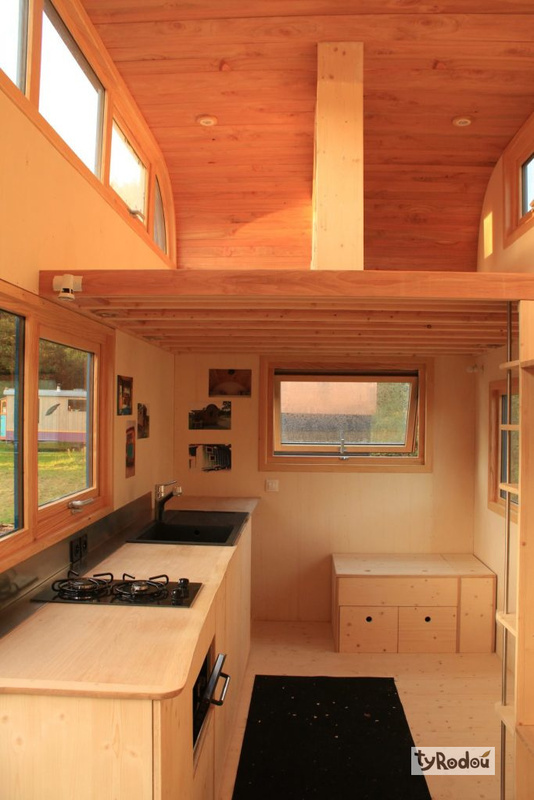 Inside the home is a minimal interior with operable windows to allow in fresh air. 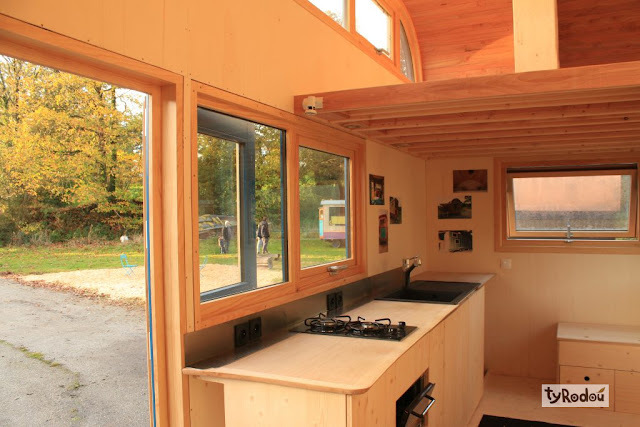 There's also a kitchen with a two-burner stove and a deep sink, a living room area, and a loft bedroom that's accessible by stairs! For more information on the home and/or the builder, contact Ty Rodou here!